Found the answer to my problem was that the Formatting Ribbon can be pinned. If you accidentally hit the far right hand side at the bottom of the ribbon there is an arrow pointing up.... If you cannot locate the file, the application is using the default preferences. 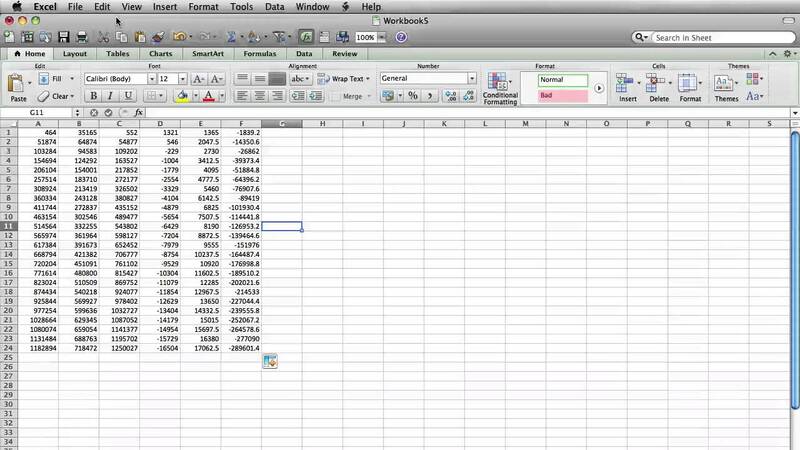 If you locate the file and move it to the desktop, start Excel, and check whether the problem still occurs. If the problem still occurs, quit Excel, and restore the file to its original location. If you want, you can even add commands to any of the default tabs, as long as you create a custom group in the tab. 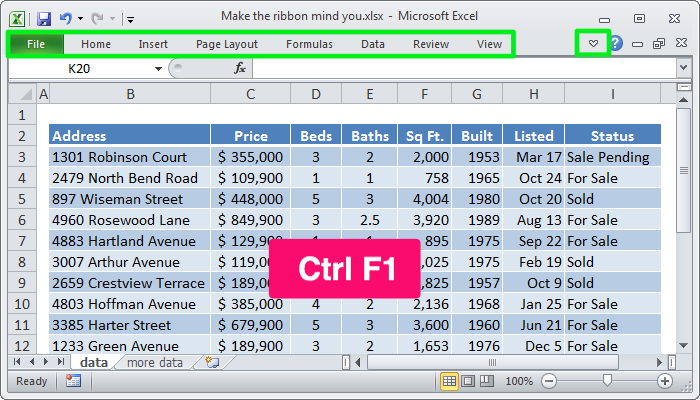 Right-click the Ribbon and select Customize the Ribbon... from the drop-down menu.... 1) Which of the following lists demonstrate the tabs you will typically find by default on the Excel Ribbon? a) Home, Insert, Page Layout, Tables, Review, View. b) File, Home, Insert, Page Layout, Formulas, Data, Review, View. 1) Which of the following lists demonstrate the tabs you will typically find by default on the Excel Ribbon? a) Home, Insert, Page Layout, Tables, Review, View. b) File, Home, Insert, Page Layout, Formulas, Data, Review, View. Step 2. Select �Auto-hide Ribbon� to hide the command ribbon. The worksheet will move up and take the place of the ribbon. The default green status bar at the bottom of the screen also hides from view.